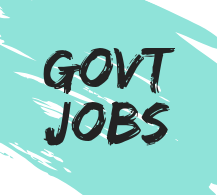 This article is about the latest govt jobs in mumbai for the post of attendant and junior technician. 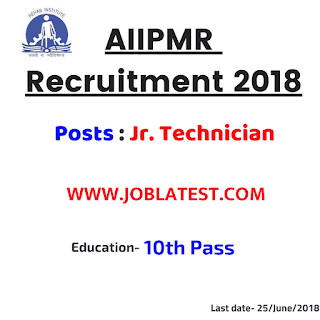 All India Institute of Physical Medicine and Rehabilitation Haji Ali, K.K.Marg, Mahalaxmi, Mumbai–400034 is currently having a 10 vacancy for the matriculation and 10th pass candidates under the AIIPMR Recruitment 2018 with full information such as application fees, notification. Workshop Attendant ⇢ : 01 Post : Matriculation (10th pass) / equivalent. Junior Technician ⇢ : 09 Posts : Education qualification for this post is given below. Matriculation (10th Pass) and certificate in particular trade. 3–5 years of experience in particular trade. 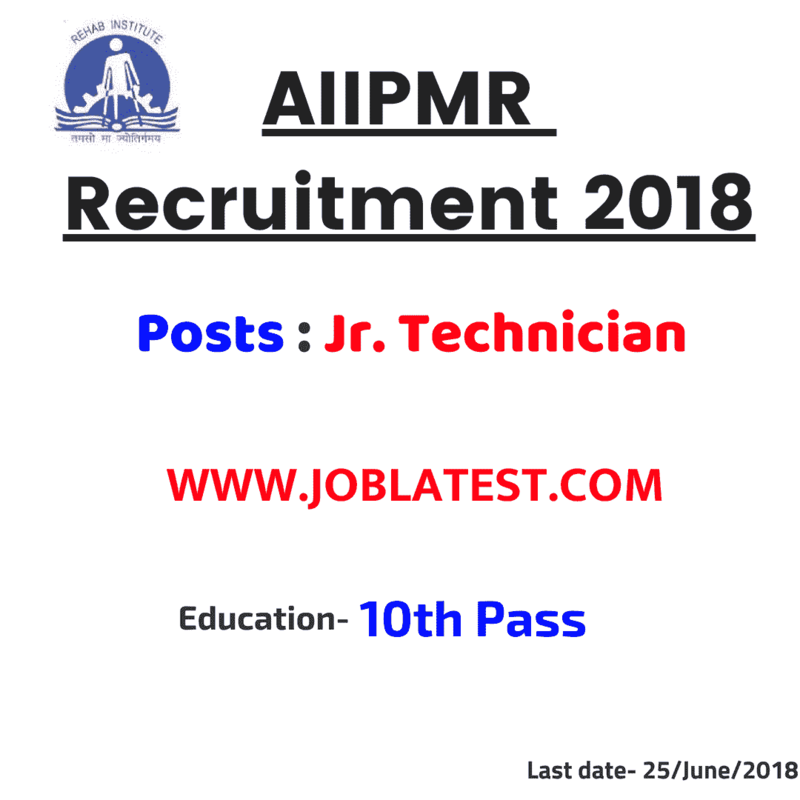 Apply → Candidates who want to apply for this AIIPMR Vacancy must have to send the application to "The Director, All India Institute of Physical Medicine and Rehabilitation, Mumbai–400 034. Application fees (Rupees) → Demand Draft in the favour of Director, AIIPMR, Mumbai.